Being able to remove a restriction site by digesting to linearise a plasmid, Klenow treating then religating the linear fragment is a very useful trick and an often requested feature. This is now possible with the new Cloning Clipboard in MacVector 12.7. 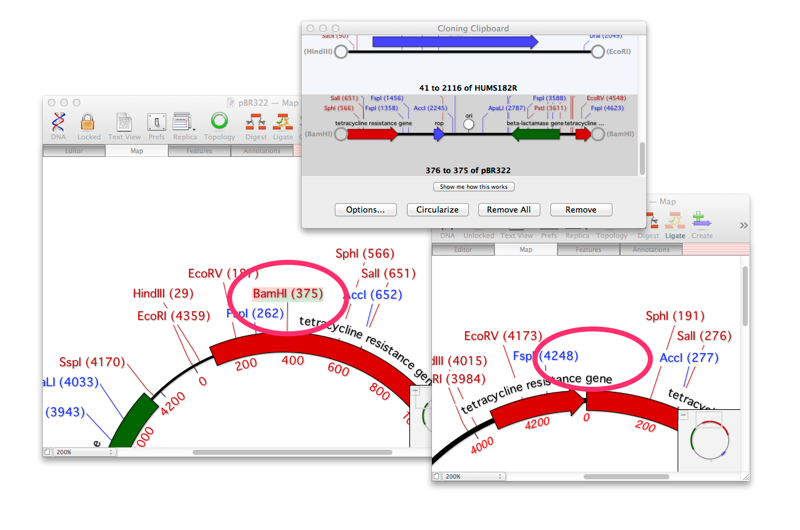 Click DIGEST to linearize the plasmid and places it on the Cloning Clipboard. A new circular sequence will be created from your digested fragment. The origin of your plasmid will have changed to the digested site, so you may want to rotate the sequence to show the original sequence. This entry was posted in Tips and tagged cloning, restriction digests. Bookmark the permalink. Both comments and trackbacks are currently closed.